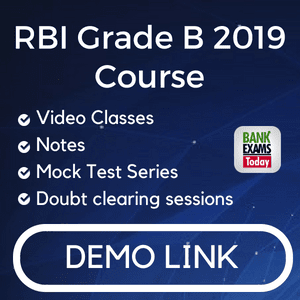 India has replaced Japan as world's number two importer of liquefied petroleum gas or LPG, thus giving a push to Prime Minister Narendra Modi's call for a 'safer kitchen', according to a report in Bloomberg. In India, a substantial number of households that particularly in rural parts of the country use fuels that increase the level of air pollution and also expose people to life-threatening diseases. According to data from Oil Ministry's Petroleum Planning and Analysis Cell, country imported 23 per cent more LPG in financial year 2016-17, a figure that stands at 11 million tonnes. The report added that Japan recorded a drop of 3.2 per cent in LPG imports during the period under review to 10.6 million tonnes. China continues to occupy numero uno position as world's largest LPG importer. 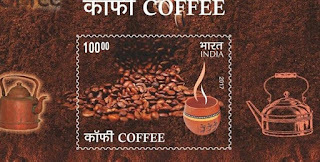 Union Minister of Commerce and Industry Nirmala Sitharaman and Minister of State for Communications Manoj Sinha on Sunday released coffee scented postage stamps at the General Post Office, Bengaluru. The stamps, which are being printed at the India Security Press, will be priced at Rs. 100. These stamps will be made available at the Philately Bureau, Bangalore General Post Office, and all other head post offices. Bhutan was the first country to release aromatic stamps in 1973. New Zealand, Thailand and Switzerland joined in later. In 2006, India introduced its first aromatic stamp, with a Rs. 15 sandalwood-scented stamp where 30 lakh of these sold out within two weeks. In 2007, rose-scented stamps were released in four varieties of flower- Jawahar, Neelam, Delhi Princess and Bhim- each priced at Rs. five and a jasmine fragrance in 2008. China Overseas Port Holding Company (COPHC) would carry out all the development work on the port on the Arabian Sea. 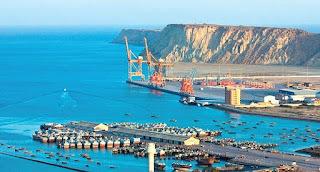 Gwadar forms the southern Pakistan hub of the USD 57 billion China-Pakistan Economic Corridor (CPEC) infrastructure and energy project that Beijing announced in 2014. Last year, Pakistan welcomed the first large shipment of Chinese goods at Gwadar, where the COPHC took over operations in 2013. It plans to eventually handle 300 million to 400 million tonnes of cargo a year. The route through Gwadar offers China its shortest path to the oil-rich Middle East, Africa, and most of the Western hemisphere, besides promising to open up remote, landlocked Xinjiang. Union Minister of State (IC) for Power, Coal, New & Renewable Energy and Mines, Shri Piyush Goyal and H.E. 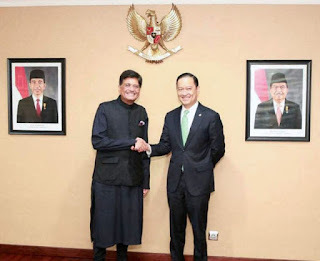 Mr. Ignasius Jonan, Minister of Energy and Mineral Resources, Republic of Indonesia met on 20th April, 2017 for the 1st India Indonesia Energy Forum, held in Jakarta, Indonesia. The Energy Forum was preceded by 2nd Joint Working Group (JWG) on Oil and Gas, 4th Joint Working Group on Coal and 1st Joint Working Group on New and Renewable Energy. The reports of three Joint Working Groups were presented to two Ministers during the Energy Forum. Both sides agreed to focus on Capacity building, Exchange of Scientific and Technological information and data, Transfer of Technology on Non-commercial basis in bio fuel and geothermal area, Development on Joint Research or Technical Projects on subject of Mutual interest, Encouragement and promotion of investment and Encouragement of policy Dialogue in solar park. India is third largest importer of coal from Indonesia. Indias imports of coal from Indonesia amounted to US$ 3.5 billion in 2016. Several Indian companies have invested in coal mines in Indonesia. The app was launched during the concluding day of three-day state level orientation workshop at state Institute of Health and Family Welfare at Panchkula on Friday where new data elements in Health Management Information System (HMIS) were also launched. Travel planning and booking website TripAdvisor has bestowed on Bali an award as the “best destination,” after the island was named the global winner of the 2017 Travelers' Choice Awards in March. The 2017 TripAdvisor Travelers’ Choice Awards were determined using an algorithm that took into account the quantity and quality of reviews and ratings for hotels, restaurants and attractions in destinations worldwide, gathered over a 12-month period, as well as traveler booking interest on TripAdvisor. The awards honor 418 outstanding destinations across the globe. 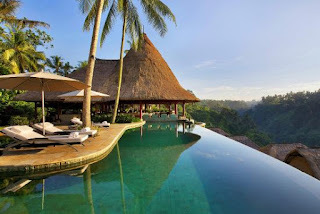 According to the website, Bali improved in three main categories from 2015 to 2016: Accommodation, attractions and restaurants. SSP Chawrasia and Aditi Ashok were among the winners at the second Golf Industry Association (GIA) Awards. 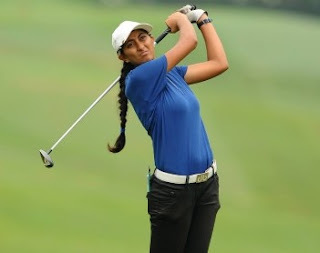 Aditi, who finished second in the Ladies European Tour (LET) order of merit last year with the help of two victories, expectedly bagged Outstanding Achievement as a Player award. Chawrasia, who successfully defended his Indian Open title earlier this year and had two victories of on tour last year, bagged the Award for the Men's Player of the Year. Ali Sher, the Delhi Golf Club caddy-turned-pro-golfer, was feted for an Outstanding Playing Career. Ali Sher won the Indian Open back in 1991 and was honoured with an Arjuna Award that year. He went on to win the Indian Open again in 1993. 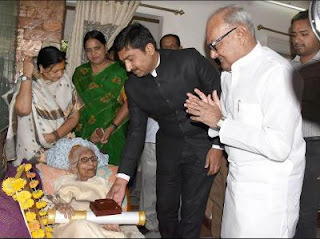 Ninety-one-year-old Dr Yadav is Indore's first woman MBBS graduate and was conferred the Padma Shri award this year. 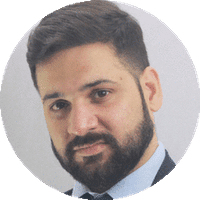 Dr Yadav has been offering free treatment for the last 68 years and is known for her close association with her patients. Dr Yadav went on to become the first woman doctor in Indore when she passed out as part of the first batch of MGM Medical College here in 1948. She was the only woman in the batch. 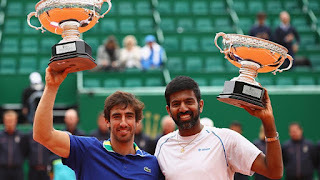 The crown is the first of the season for Bopanna and Cuevas pair and the third for the Indian. Bopanna had earlier won the Chennai Open in January with Jeevan Nedunchezhiyan. He lost in the final of the Dubai Tennis Championships, in which he teamed up with Poland’s Marcin Matkowski.